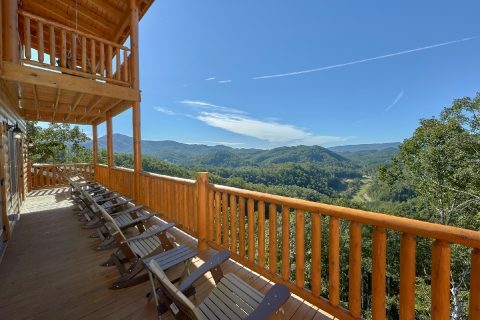 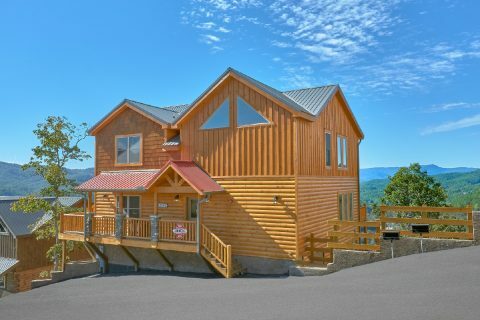 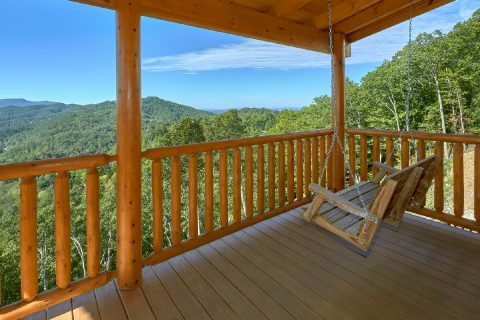 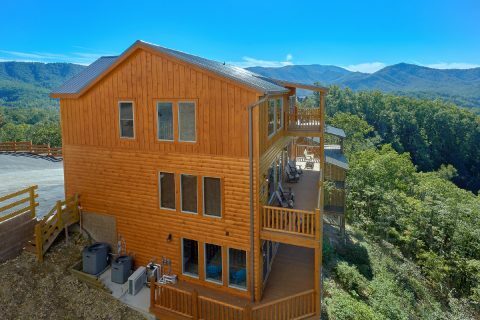 Located only 2 miles from Downtown Pigeon Forge in the beautiful Sherwood Forest Resort area, you'll find "Endless Sunsets," a luxurious 5 bedroom Pigeon Forge cabin rental that boasts an impressive mountain view! 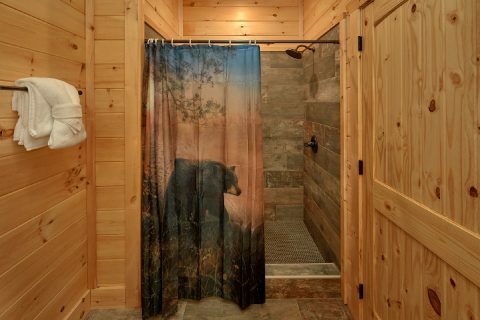 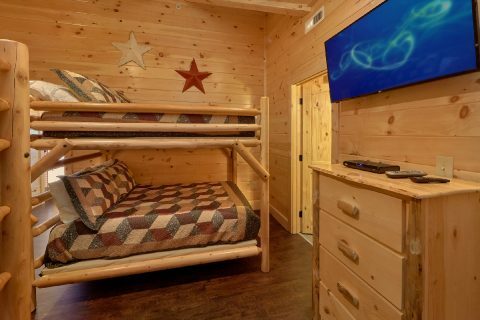 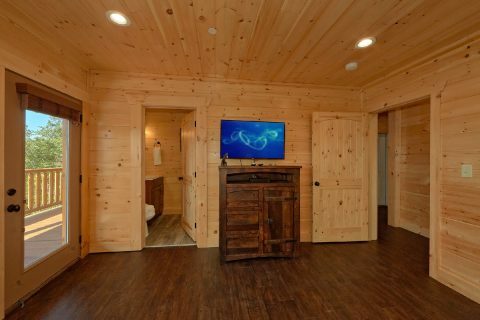 Better yet, this cabin comes complete with excellent amenities like a private, indoor swimming pool, a theater room, game room loft, and a hot tub to enjoy during your stay! 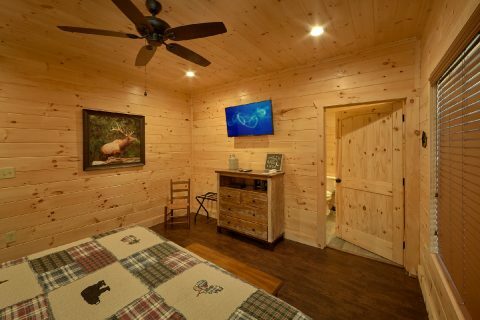 Thanks to this cabin's location in Sherwood Forest Resort, you'll also have access to a seasonal outdoor swimming pool, so you can enjoy a refreshing swim during the warm summer months. 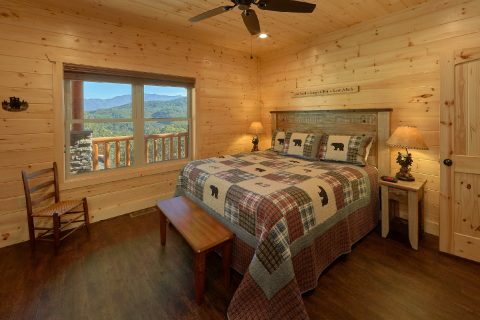 When you aren't unwinding at this comfortable cabin retreat, you'll love exploring fun attractions on the Pigeon Forge Parkway like Dolly Parton's Stampede, The Historic Old Mill, and The Island. 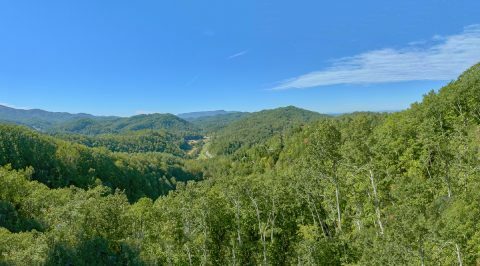 Other top destinations like Downtown Gatlinburg and the Great Smoky Mountains National Park are also only a short drive from your cabin via the scenic "spur" road. 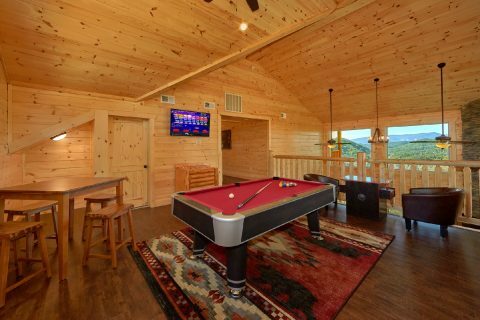 After a great day enjoying the mountains with your friends and family, you can look forward to unwinding at this premium resort cabin. 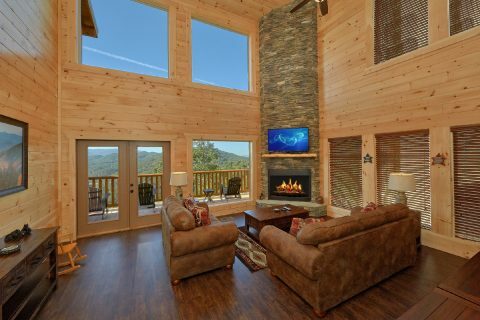 Step inside the main level of "Endless Sunsets" and you'll find a welcoming living area complete with a gas fireplace, comfortable seating space, and large windows that showcase your cabin's mountain view. 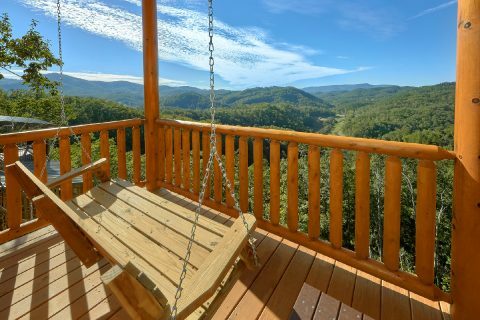 From here, you can step outside onto the deck with a porch swing, chairs, and rockers to get some fresh mountain air or you can head to your cabin's fully-equipped kitchen to make a tasty snack. 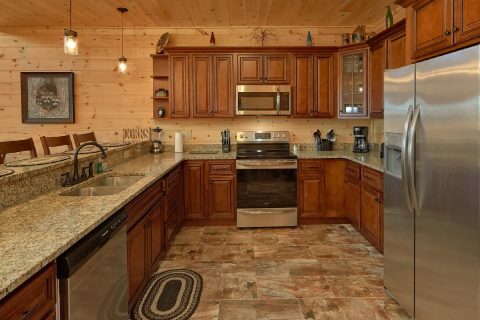 For dinner, you can enjoy grilling out in the great outdoors on your cabin's charcoal grill. 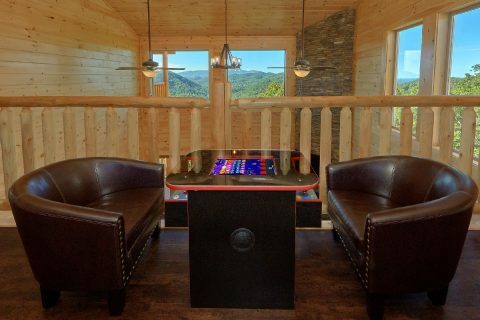 On your cabin's upper floor, there's a game room loft with a pool table, a Golden Tee Golf Arcade Game, and a sit down multi-cade arcade game that's perfect for enjoying quality time with your friends and family. 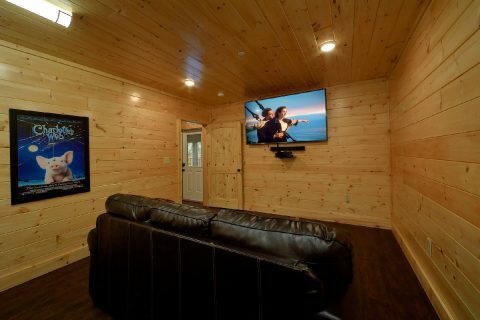 To unwind at the end of the day, you can also enjoy a movie in comfort and style in your cabin's full theater room on the lower level. 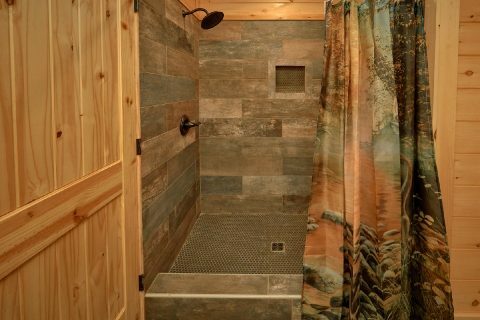 There's also a nice, year-round, private indoor swimming pool on this floor, so you can always go for a refreshing swim. 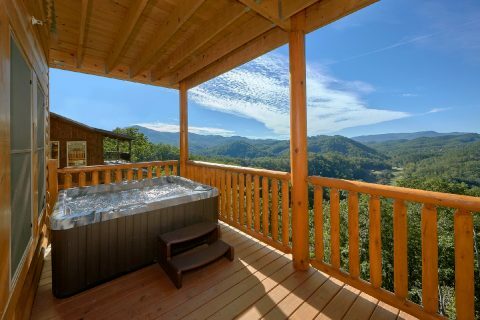 Better yet, from here you can step outside to your cabin's deck to take a dip in the soothing waters of your cabin's outdoor hot tub. 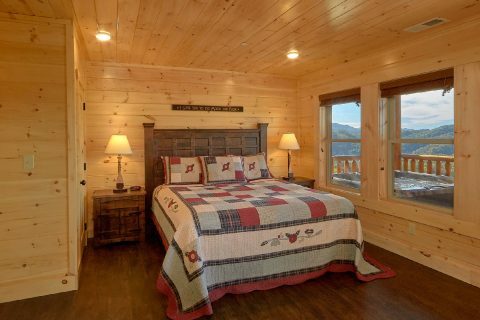 Once it's time to get some shut-eye, you can look forward to sleeping in one of this cabin's 5 bedrooms. 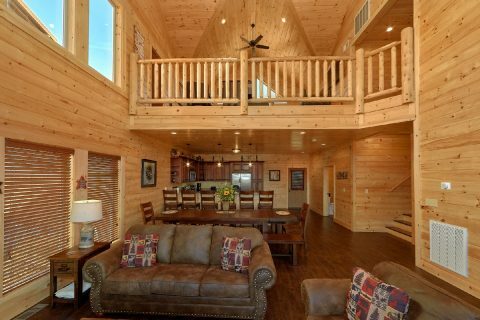 The main floor features 2 king-size bedrooms and a sleeper sofa in the living room. 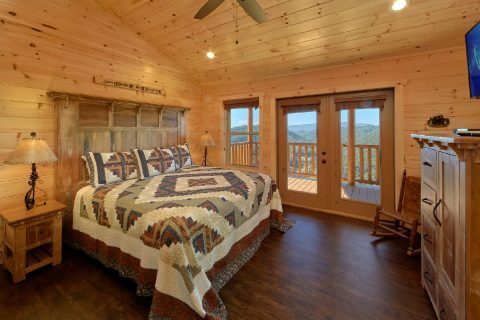 On the top floor, you'll find another king-size bedroom with doors that lead to an upper level deck with a porch swing. 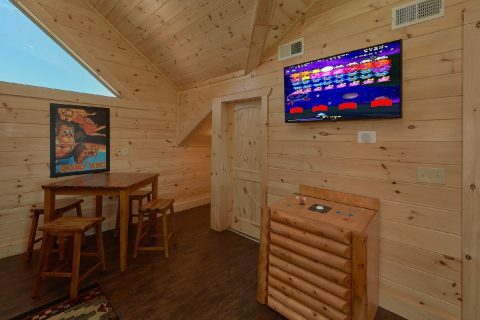 There's also another bedroom with 2 sets of queen bunk beds and a sleeper sofa in the game room loft. 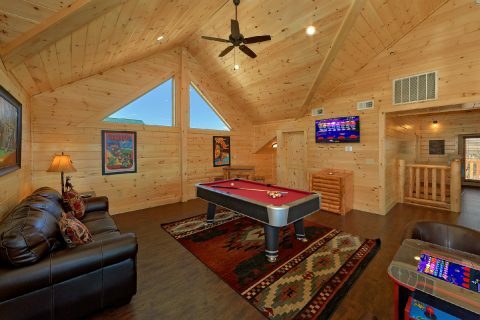 Lastly, the lower level is home to another king-size bedroom and there's another sleeper sofa in the theater room. 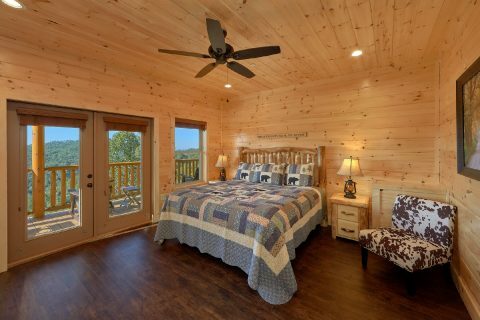 Altogether, "Endless Sunsets" can easily sleep up to 22 guests in comfort! However, if you need more space for your group, we also offer two nearby cabins that can be reserved alongside this one. 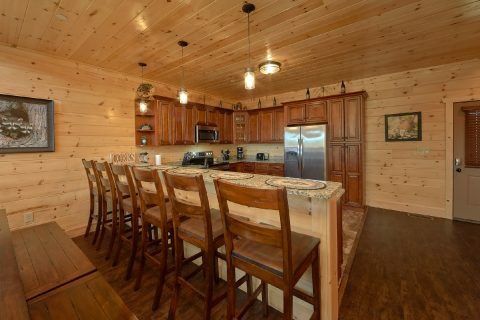 "TrinQuility View" and "Elk Ridge Lodge" are two excellent cabins we manage that can accommodate even more guests! 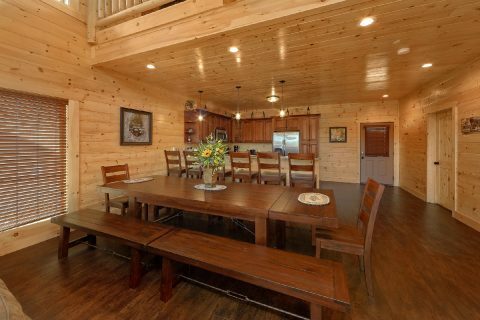 For help planning your multi-cabin vacation, please don't hesitate to contact our helpful reservations office. 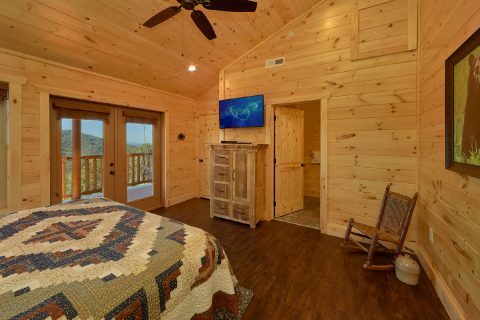 Additionally, this lovely cabin with a nice mountain view also features useful amenities to help make your stay care-free like WiFi and a washer/dryer. 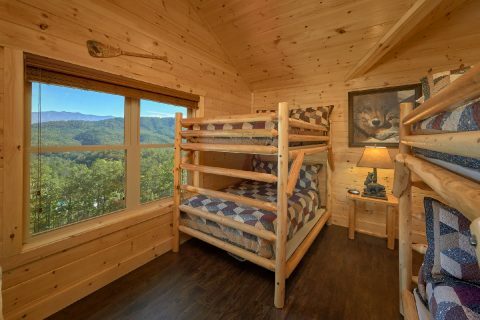 Book "Endless Sunsets" today with Cabins USA and you'll save 15% on your nightly rate in Pigeon Forge, TN!